1. 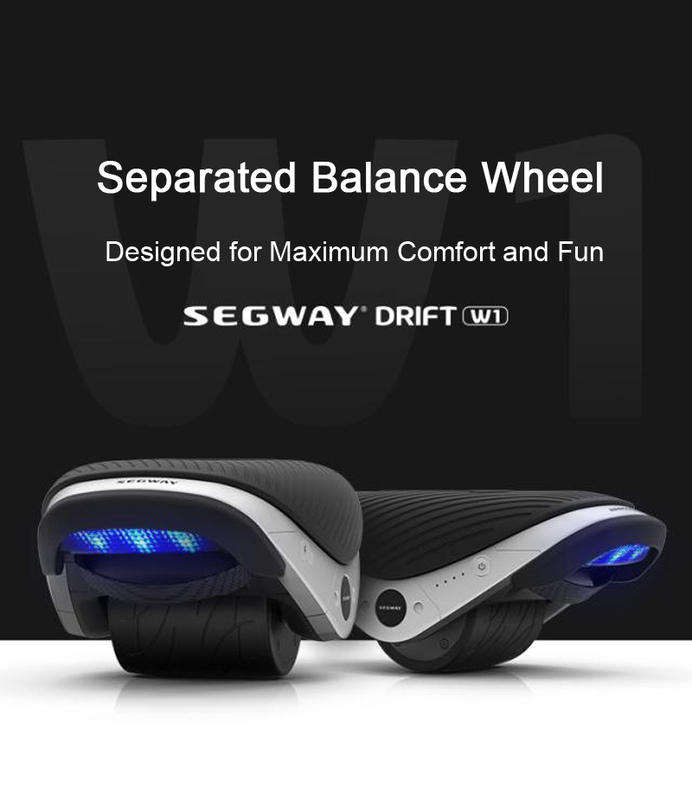 With a total weight of 7kg Segway Drift W1 is portable and can be carried around easily in one hand or in a bag. 2. 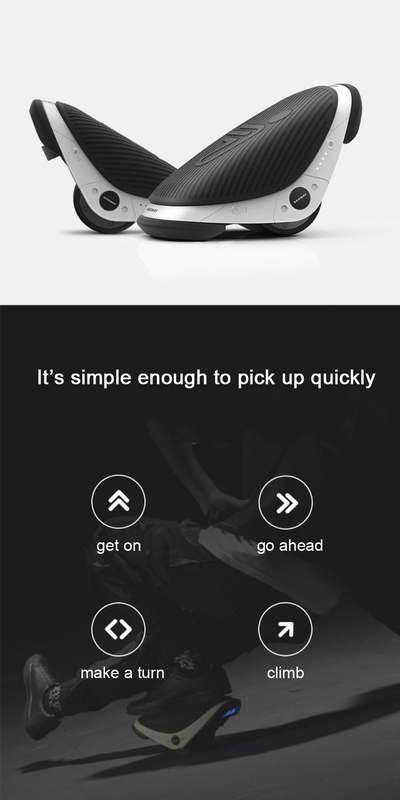 The Segway Drift W1 can speed up to 12km/h (7.5 mph) and is three times faster than walking. 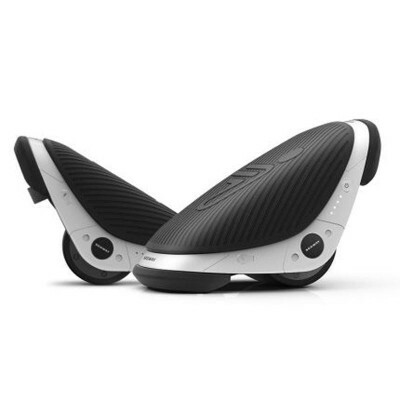 It rolls smoothly and provides you maximum riding comfort. 3. 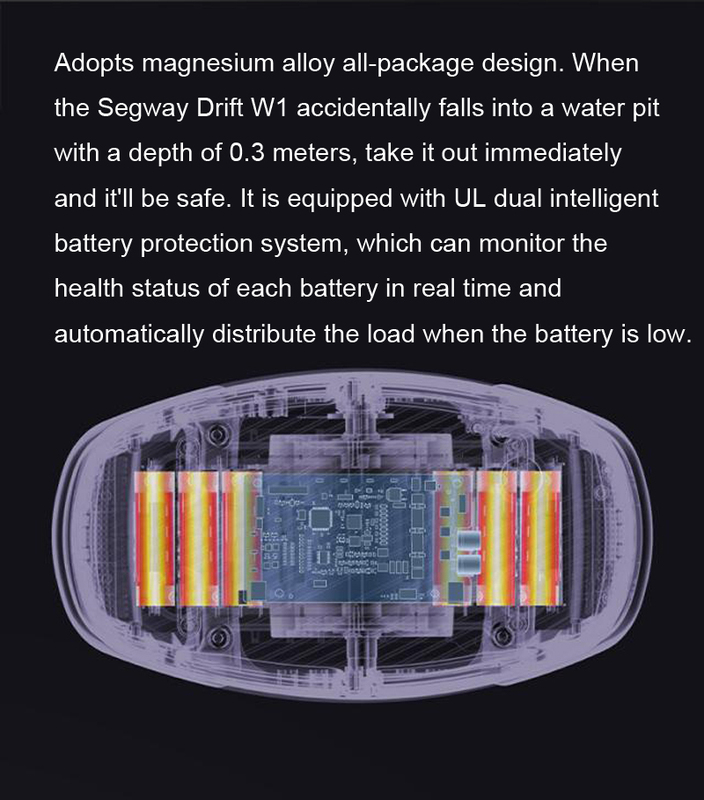 Fully charged, Segway Drift W1 can provide you a 45 minute ride. 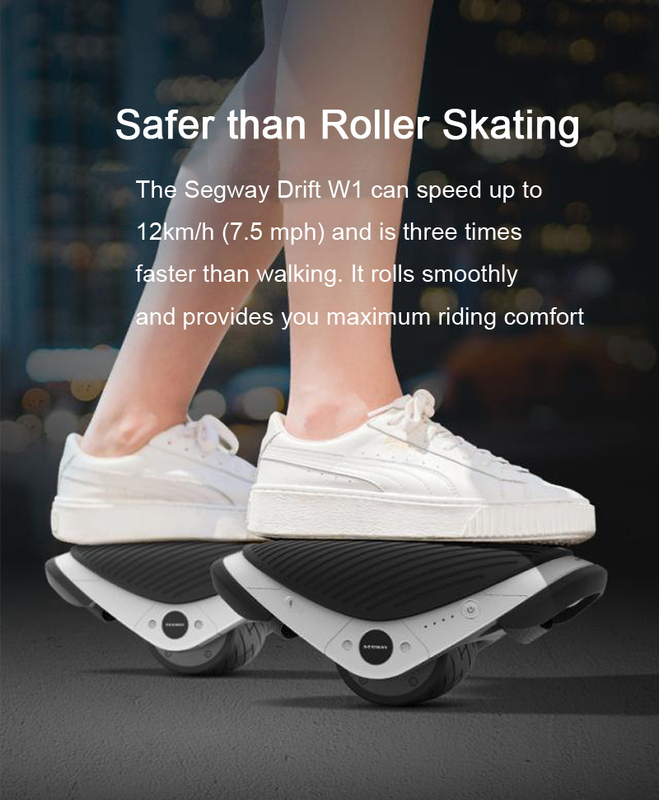 It guarantees you fun times and enables you to explore endless creativities. 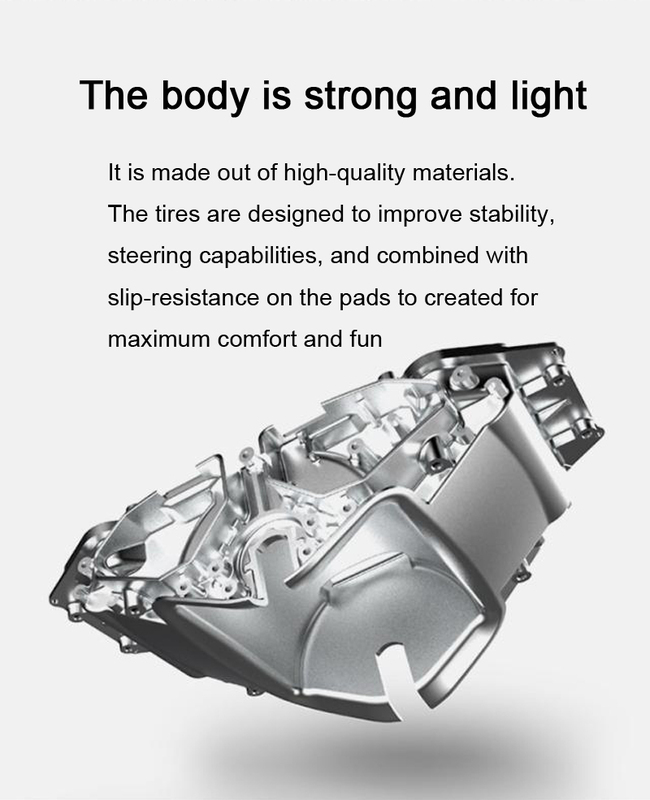 and combined with slip-resistance on the pads to created for maximum comfort and fun. 5. 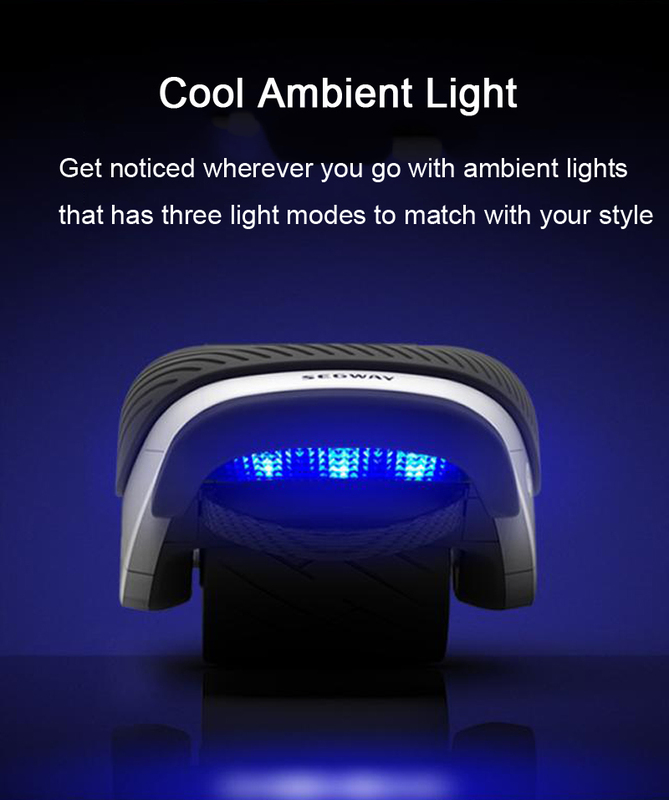 Get noticed wherever you go with ambient lights that has three light modes to match with your style. 6. 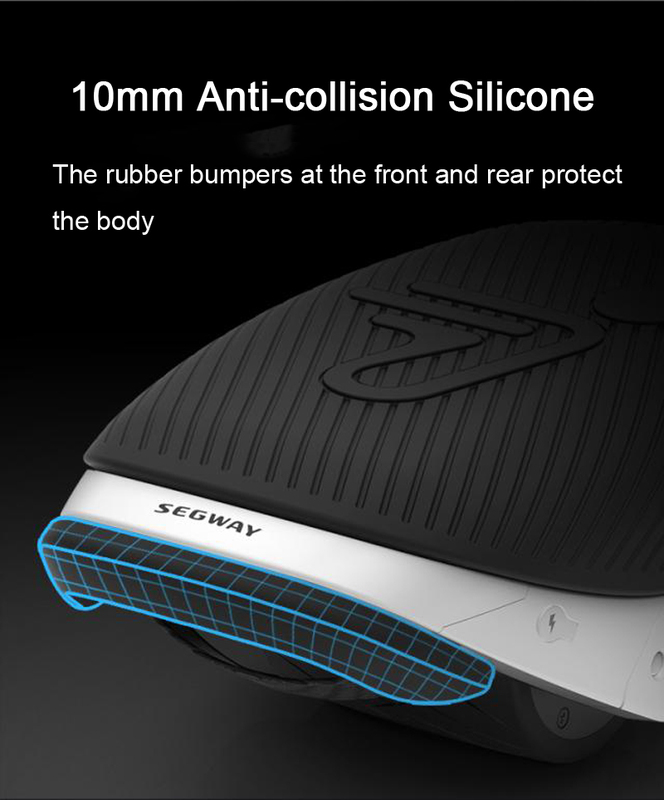 The rubber bumpers at the front and rear protect the body. 7. 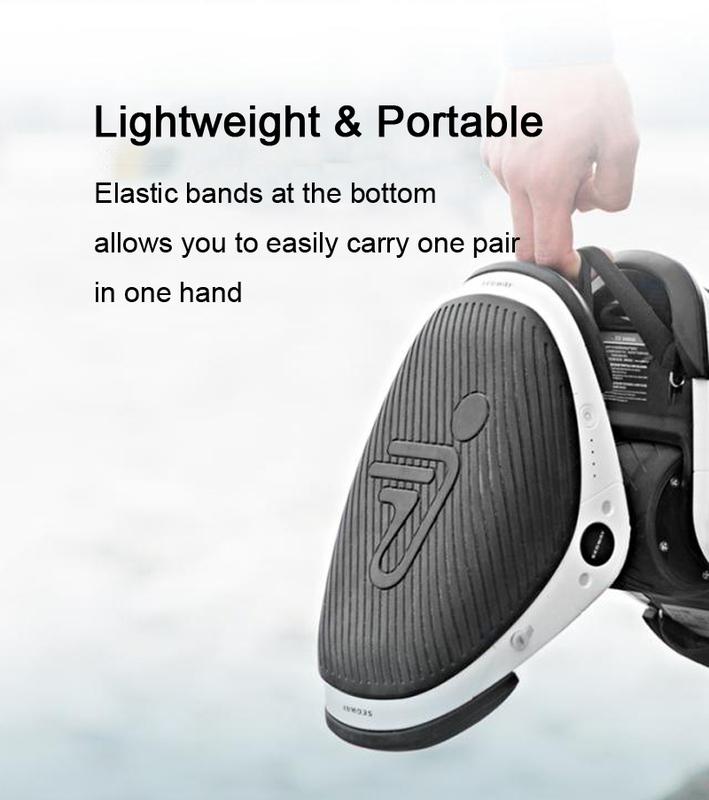 Elastic bands at the bottom allows you to easily carry one pair in one hand.